As you know I am always looking for a self tanner that enables me to have some slight glow on my pasty pale skin. 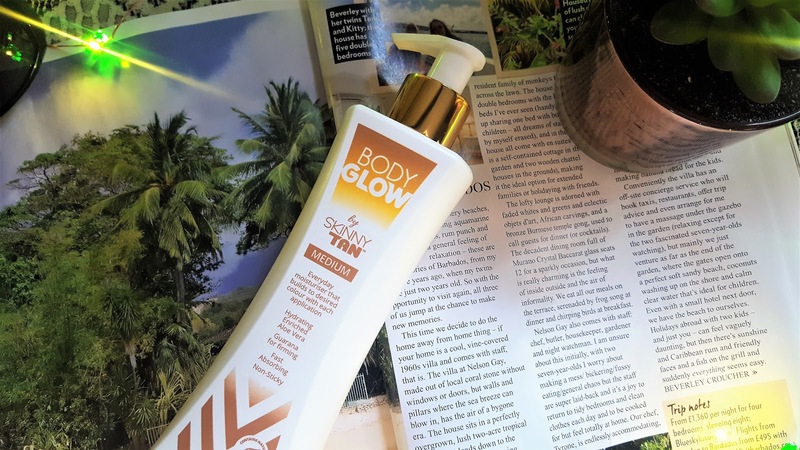 I'm lucky to work with some amazing brands through blogging and the team at Skinny Tan are no exception. I've seen Skinny Tan go from strength to strength in the past few months - my friends all rave about it too! Skinny Tan now have a new gradual tanner to their sunkist arsenal. 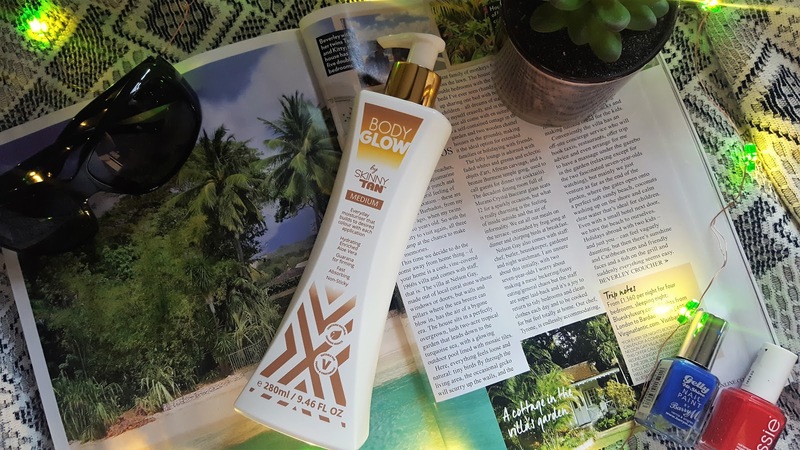 The Body Glow from Skinny Tan is a rich moisturising tanner with Aloe Vera and firming naturally-derived guarana ingredients. 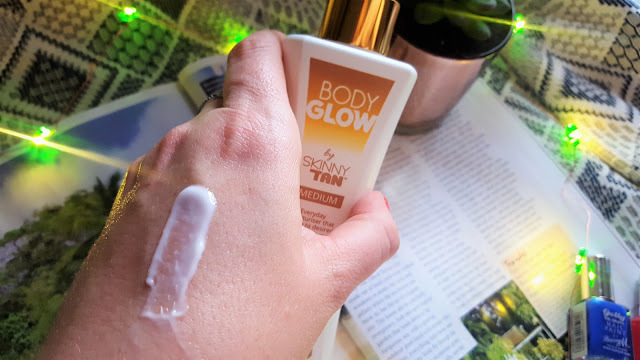 The first thing I loved about the Body Glow By Skinny Tan is the size of the pump dispenser. 280ml is a large size, and because the consistency of the tanner is so rich; a little goes a really long way! 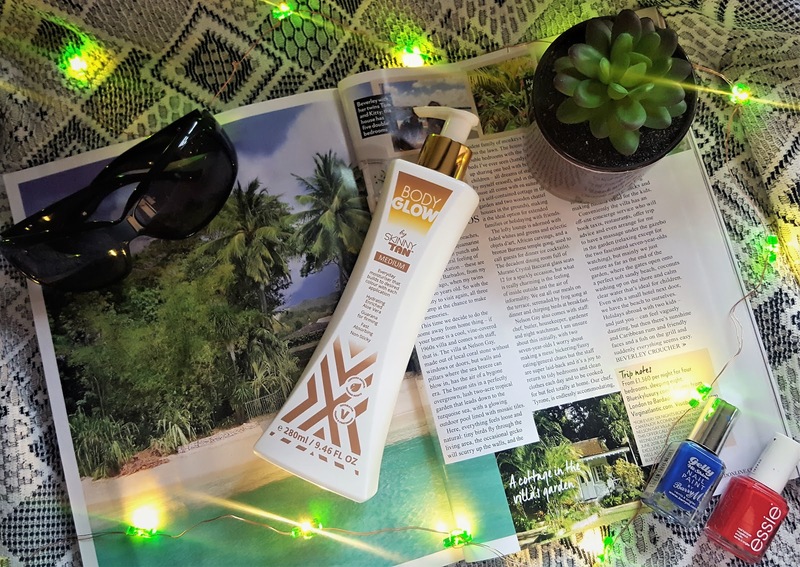 A couple of pumps and your skin will be left smelling of coconuts and holidays! Body Glow by Skinny Tan is an everyday moisturiser with all the Skinny Tan goodness of smoothing oils, conditioning Aloe Vera and firming naturally-derived guarana BUT with just enough certified natural tan active to take the edge off pale. 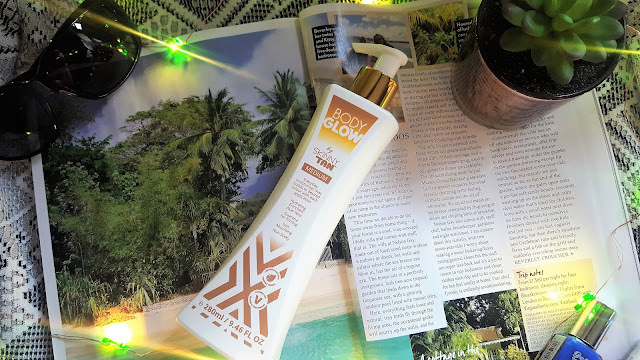 Streak-free and light with the addictive Skinny Tan signature coconut scent Body Glow can be built gradually to a light to medium tan as your Body confidence and tan confidence grows. Perfect for all ages and first time tanners too. What did I love about it? The colour was natural and even, but I am not going to lie there is a slight fake tan smell a few hours after application. This didn't bother me, nor did I receive any comments about it. But the colour you receive after a couple of applications of the Skinny Tan Body Glow is well worth it! Suitable for Vegans and Vegetarians the Skinny Tan Body Glow is suitable for everyone. 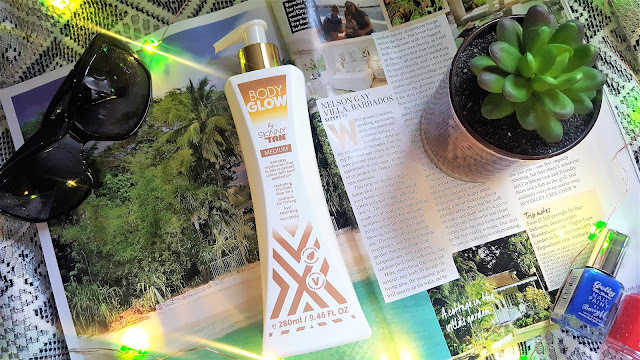 Once you have applied the Skinny Tan Body Glow please make sure that you wash your hands thoroughly. 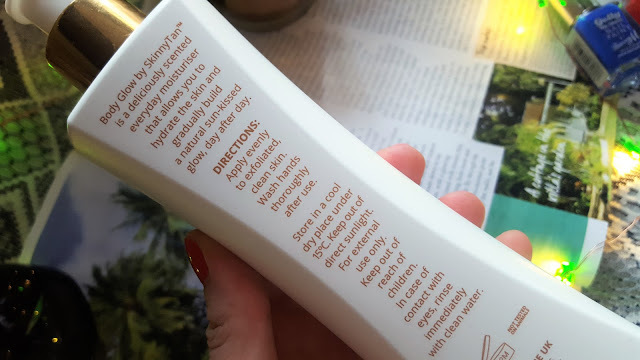 Else your hands will start tanning! 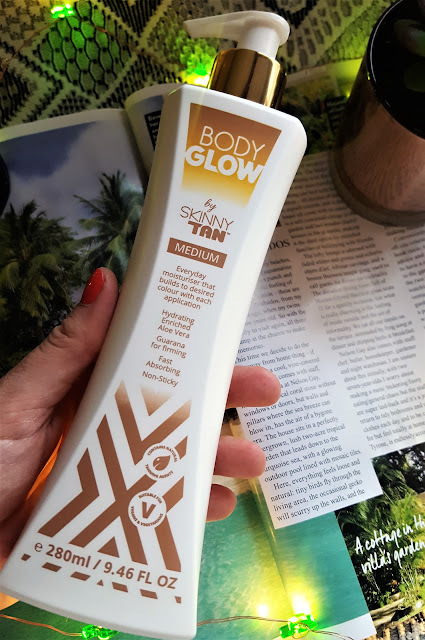 So there we have it, another amazing product from Skinny Tan! Do you think you will try the Skinny Tan Body Glow in Light or Medium? Don't be scared, either product will give you just a hint of a tint and make you feel more healthier as the colder months come along!